Review & Excerpt: Rage and Killian by Alexandra Ivy and Laura Wright. 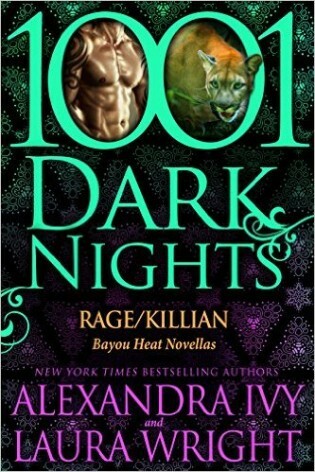 From New York Times Bestsellers, Alexandra Ivy and Laura Wright, the heat of the bayou is back with Rage/Killian in an all-new dual 'tail'. Enter the Wildlands, where a new, volatile danger threatens the sizzling hot Pantera. RAGERage might be an aggressive Hunter by nature, but the gorgeous male has never had a problem charming the females. All except Lucie Gaudet. Of course, the lovely Geek is a born troublemaker, and it was no surprise to Rage when she was kicked out of the Wildlands. But now the Pantera need a first-class hacker to stop the potential destruction of their people. And it’s up to Rage to convince Lucie to help. 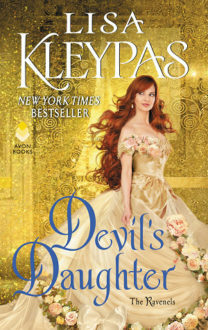 Can the two forget the past—and their sizzling attraction—to save the Pantera? KILLIANGorgeous, brutal, aggressive, and human, Killian O’Roarke wants only two things: to get rid of the Pantera DNA he’s been infected with, and get back to the field. But the decorated Army Ranger never bargained on meeting the woman—the female—of his dreams on his mission to the Wildlands. Rosalie lost her mate to a human, and now the Hunter despises them all. In fact, she thinks they’re good for only one thing: barbeque. But this one she’s guarding is testing her beliefs. He is proud and kind, and also knows the pain of loss. But in a time of war between their species, isn’t any chance of love destined for destruction? Both novellas in this book are different which in my opinion makes the read interesting. One is childhood enemies to lovers (Rage) while the other is hatred to love (Killian). Rage is about Lucie and Rage; both thought that the other disliked the other. Lucie was a wild child no preferred spending her time outside and well following rage around as a child because of her fascination with him. Rage however thought lucie was a little troublemaker and had it out for him. I liked these two a lot, I instantly connected with them and enjoyed their relationship; it was kind of fruity fun to read. ~4.25 stars. The novella Killian is more inetense than Rage, mostly because of what Rosalie and Killian went through at the hands of the humans at benson labs. Rosalie despises human and Killian wants nothing more than to be just human. They both go through some onscreen character development as well the obvious one of their relationship from strangers who distrust each other to loving each other. ~4 stars. I always enjoy these short stories, they are great especially if you have only little time to read but as always I wish they were a bit longer (time wise and in length) and we had more of the couple because of how easily it is to slip into the bayou world and connect with them. Happy Reading! Rage grimaced, deliberately leashing his instinctive aggression. He’d discovered at an early age he could use his natural charm to…encourage people to see things his way. It was only when his cat was provoked to violence that it was obvious why his faction was Hunter instead of Diplomat. Rage hesitated. This was the first time he’d ever questioned a direct order, but there was no way in hell he wanted to deal with Lucie Gaudet. But as they’d matured, his pity had changed to annoyance. Instead of growing out of her odd preference for the shadows, she’d continued to lurk at a distance, and worse, she’d used her cunning intelligence to torment others. Including himself. 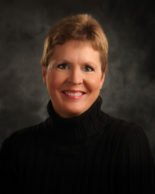 Alexandra Ivy is a New York Times and USA Todaybestselling author. From Alexandra: “I’m not exactly sure when I fell in love with books. Probably on my mother’s knee listening to her read Dr. Seuss to me. I do remember that I was barely old enough to cross the street by myself when I discovered the delights of the local library. Review & Giveaway: When Darkness Ends by Alexandra Ivy. On Tour: Blood Assassin by Alexandra Ivy Review + Giveaway!